We were only planning on staying a couple nights but ended up staying for a week!! So much to see in that area. The site manager, was a sweetheart and very helpful and accommodating. She made our stay the best Louisiana experience we could have ask for. We were there around Mardi Gras and loved all the traditional food. Manager directed us to the best crawfish, king cake and oysters. Would definitely stay there again. 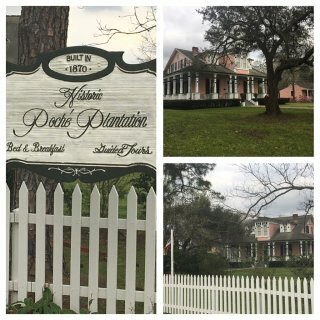 We camped at Poche Plantation in a Motorhome. We were centrally located to visit several plantations. We were an hour from New Orleans and Baton Rouge.